Just a day after Microsoft announced a $300 million dollar investment in Barnes & Noble’s Nook e-reader, Barnes & Noble chief executive William Lynch announced plans to implement near field communication (NFC) hardware into future versions of the Nook as detailed within an interview with Fortune. By adding NFC chips into the next generation of Nooks, consumers will be able to take the new Nook into any Barnes & Noble retail location and simply scan any print version of a book to bring up a synopsis as well as customer and editorial reviews. This would allow anyone that’s interested in buying the print version to immediately read feedback about the quality of the book before purchase. Ideal for Barnes & Noble, this method of purchasing books would cut Amazon out of the research process and dissuade customers from potentially spending money at the rival online bookstore. Lynch didn’t specify if this technology would be released before the end of the year. Utilizing NFC technology will definitely be faster than QR code scanning. Consumers with smartphones can scan a QR code or a barcode in order to bring up information about a product, but that process is more time consuming than scanning with NFC. While it’s clear that Barnes & Noble management is attempting to gain an advantage over Amazon by leveraging approximately 700 physical locations with this new concept, it’s unclear how many Nook owners will make a trip into the store instead of simply browsing titles at home through the e-reader. According to Lynch, consumers that purchase the Nook continue to buy physical copies of books at Barnes & Noble retail locations. He also mentioned that the company may continue to experiment with bundling a digital copy with a physical copy, similar to the business model that the movie industry has adopted with Blu-ray and UltraViolet digital copies. 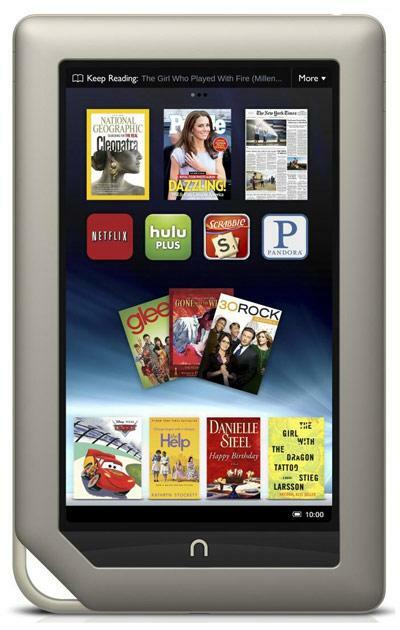 Regarding sales of current Nook models, Lynch mentioned that the most popular selling model is the Nook Color. 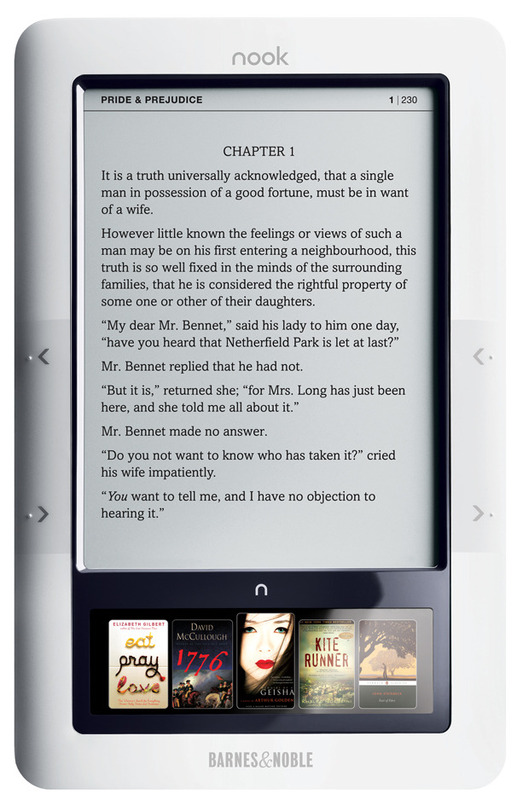 Lynch stated “Once people started using it, it was hard to go back to black-and-white e-readers.” In addition, Barnes & Noble has temporarily sold out of the Nook Simple Touch with Glowlight due to underestimating demand for the product. According to Lynch, approximately 38 percent of daily reading occurs at night while laying or sitting in bed.